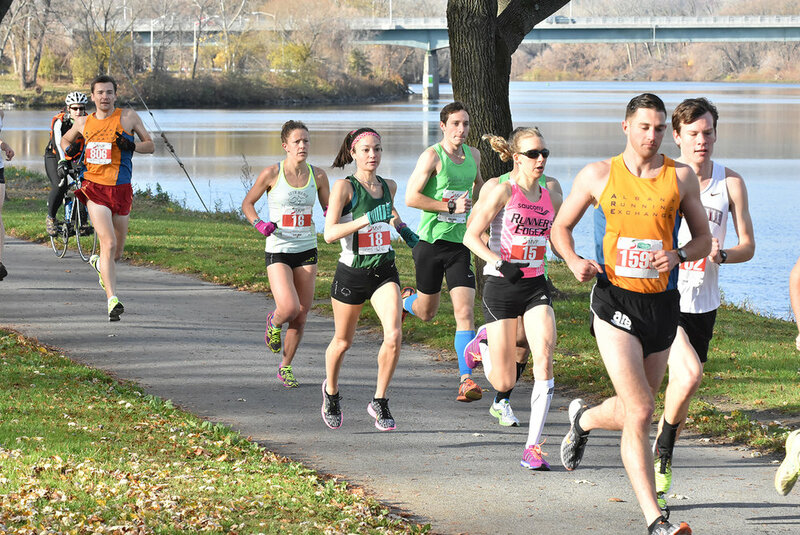 The MVP Health Care Stockade-athon 15K, taking place on Sunday, November 13th, is a fall classic race that mixes long-held traditions with some added changes over the years. Now in its 41st year, one thing remains the same, it is the year’s final distance race. Known as the oldest major 15K road race in the USA, this 9.3-miler is a premier event in the region. For some it’s the last competitive race we’ll do until spring or before moving onto snowshoeing or skiing. For many, we’re looking to PR after months of training and racing. If you haven’t run the Stockade-athon in a while or ever, give it a shot! The Stockade-athon loop course of Schenectady’s historic neighborhoods and parks will be the same as the previous two years. Due to a new roundabout constructed at the Erie Boulevard crossing near the 1.5-mile mark, the course will be recertified with adjustment of nearly 40 feet. Starting near Veterans Park in downtown Schenectady, runners travel State Street for 1K before entering the historic Stockade District, and proceeding on a scenic bike path in Riverside Park along the Mohawk River. Many enthusiastic residents cheer for runners in this beautiful neighborhood. After exiting the Stockade, the route then proceeds east on Nott Street past Union College, before entering the historic GE Plot residential neighborhood. Runners exit Rugby Road and travel north on Waverly Place to the 5K mark. The course turns east off Waverly and follows Grand Boulevard, then heads south on Dean Street to Central Parkway. After a 1K residential loop, the route enters beautiful Central Park and follows a bike path around Iroquois Lake and Duck Pond. The last 3K is mostly flat or downhill, as runners exit Central Park to go through historic Vale Cemetery and Vale Park, before a final downhill to the finish at City Hall. It’s a beautiful and scenic tour of the city! Preregistration is already over 600 people at press time, on pace for an expected 1,800 total registrants, according to race director Vince Juliano. For the first 1,700 registrants, Adidas performance gender-specific race singlets will be given to the runners for the first time. 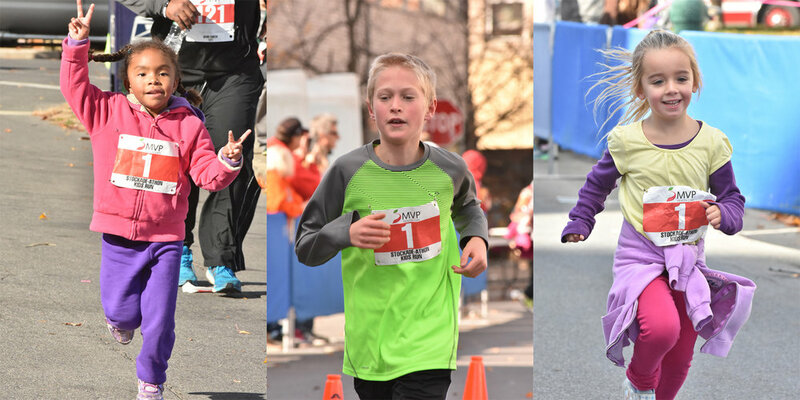 Registration remains open until last chance registration at the Schenectady YMCA on Friday, November 11. There is no race registration for 15K runners on race weekend so get signed up soon. Early packet pickup is on Saturday, November 12 at Fleet Feet Sports in Albany. Race day packet pickup and baggage check will be at the Schenectady YMCA. MVP clear bags will be available at packet pickup for those who wish to check a bag. On Saturday at Fleet Feet, runners are encouraged to bring non-perishable food items or to make a cash donation for their annual Concerned for the Hungry Food Drive for Thanksgiving. On race day at Schenectady YMCA, runners can also drop off good condition used footwear and shirts for donation to the Schenectady City Mission. While the 15K race is going on, enhanced activities for children and parents will be available at the nearby Schenectady YMCA. Parents can bring kids to the YMCA for several activity stations during race morning. This will allow one parent or guardian to run the 15K, while the other spends time at the YMCA for an hour or so until the other parent finishes, and the kids run begins. There is also a day care option at the YMCA if both parents wish to run. The Kids’ One-Mile Run for ages 12 and under will follow at 11am. All kids will receive a goodie-bag and finisher medal. There is an increased prize structure this year with 24 individual cash prizes, presented at the awards ceremony by Fleet Feet Sports/Adidas. Handcrafted pottery awards will be given to the first male and female runners in five-year age groups and Clydesdale divisions. There is USATF regional competition for open, masters, age-graded and teams – including cash team prizes. A change to this year’s team scoring for participating USATF teams allows up to five members with the top three scoring for both men’s and women’s teams. Post-race hot and cold refreshments are in Key Hall at Proctor’s, with the awards ceremony inside the GE Theater, also at Proctor’s. Runners can also shower at the YMCA but should bring their own toiletries. A post-race craft beer party will be held at Pinhead Susan’s Restaurant, near the race finish, with sample complimentary beverage with race bib. The Stockade-athon 15K is a well-organized event for all participants from the start of the 15K to the awards ceremony. The community support makes it special. For a schedule of events and online registration, go to stockadethon.com. Register by October 30 to save $5. While not confirmed at press time, Vince Juliano is hoping that Ed Whitlock, age 85, will race this year. He has set a slew of world records for his age and has expressed interest in making the trip from his home in Toronto, Canada. Ed is the only person to ever run a sub-three-hour marathon after age 70, and he did it multiple times from age 71 to 74. He is the only 70-plus person to ever run sub-one-hour at the Stockade-athon. Train well and hopefully we’ll see you all there!